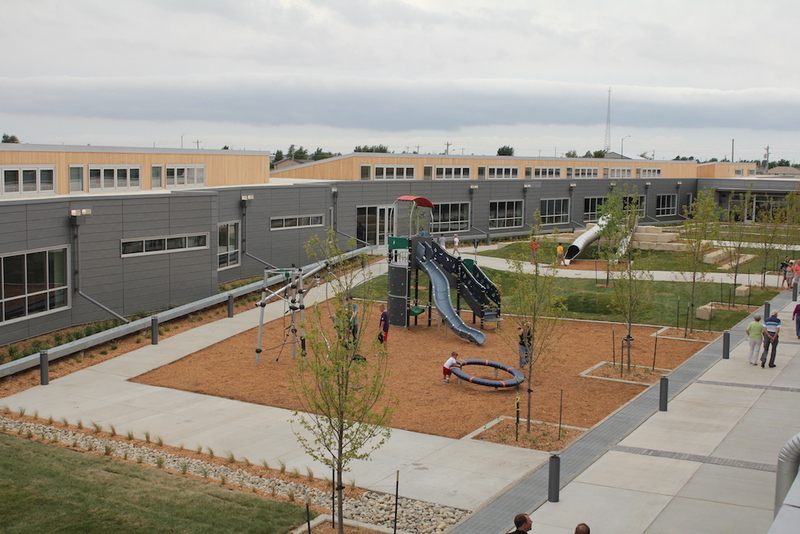 After the existing school was destroyed by a large tornado in 2007, this new school was envisioned to provide the focal element for Greensburg. Designed to meet stringent LEED Platinum goals, SEA provided structural services for this structure that has two gyms and classroom space for pre-school through 12th grade students. Integrated within the space is a FEMA storm shelter, accessible green roof, breeze-ways and rain water-collection. The new school held it’s first classes in 2010.